A Pearl for Literature Aficionados - renk. A Pearl for Literature Aficionados - renk. The İstiklâl Caddesi is one of the most famous streets in Istanbul. There one can find everything the heart desires: From clothes shops to galleries, from music shops to restaurants, cafes and bars. And those who look a little closer discover traditional storefronts, some of which have been around since the fifties. One of those is located between the Swedish Consulate and the German High School: The Turkish-German bookstore of the Mühlbauer family. Austrian Franz Mühlbauer comes to Istanbul in 1945 after being a Russian prisoner of war and finds work in a small bookstore on İstiklâl Caddesi. When the owner of the store falls ill, a young woman named Marlene takes care of her. Franz and Marlene fall in love, marry and start a family. Franz Mühlbauer then takes over the bookstore and runs it for decades. When he passes away in 1991, his sons Thomas and Josef decide to continue the family business. In the beginning, the shop was full of mostly schoolbooks. Over the years, more and more works from different fields arrived. Now, one can find many German-language rarities and classics on the ceiling-high bookshelves. 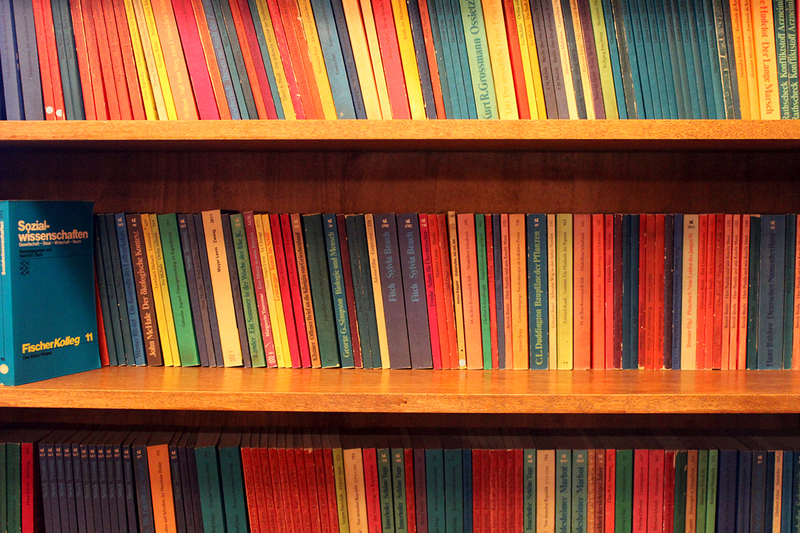 The bookstore has always been more than just a treasure chest for literature lovers. 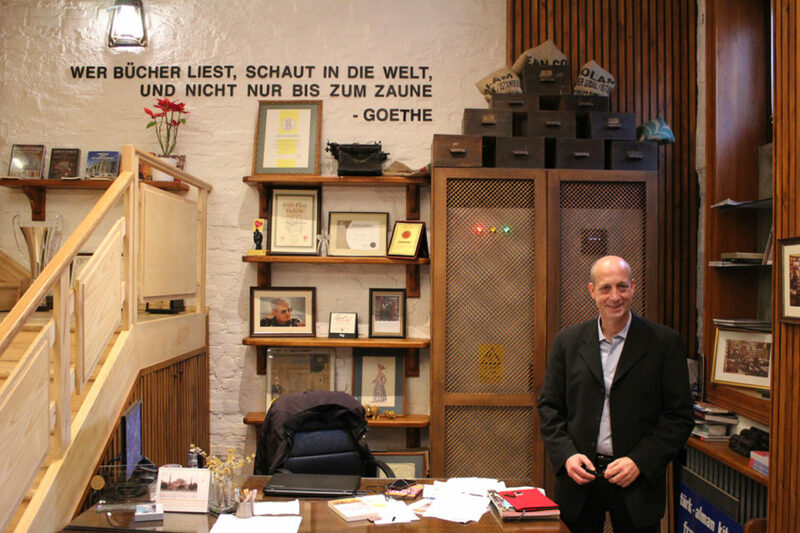 It is also a place of contact for German expatriates, teachers, students and tourists. That’s because one can always receive a helpful tip here: Whether one is searching for a flat, a job, a learning group, a nanny or simply the best restaurant in the district – there is always an answer. Either from Josef Mühlbauer himself or the large notice board at the entrance. 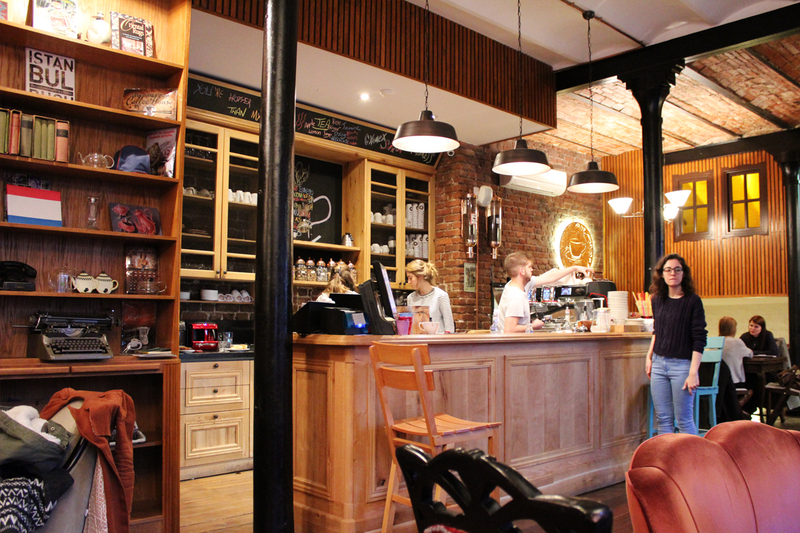 Last year, the business was expanded to create additional space for even more books and a cafe. 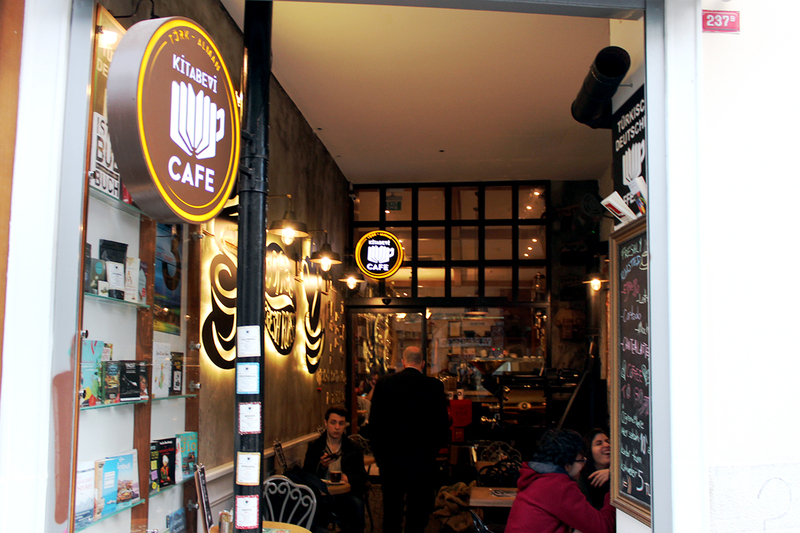 The Türk-Alman Kitabevi is now the Türk-Alman Kitabevi & Café and is by no means an insider’s tip anymore. 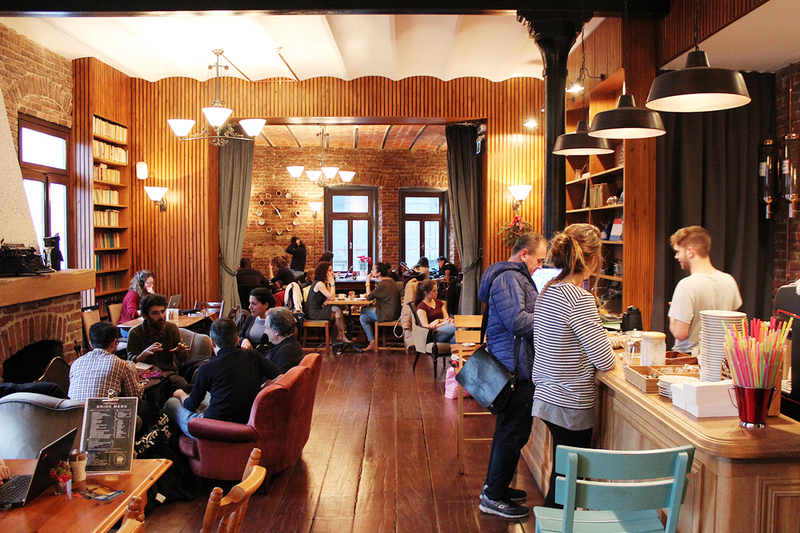 Locals, tourists, and students sit near the fireplace, drink tea, read and chat. Here there is a very open and communicative atmosphere. 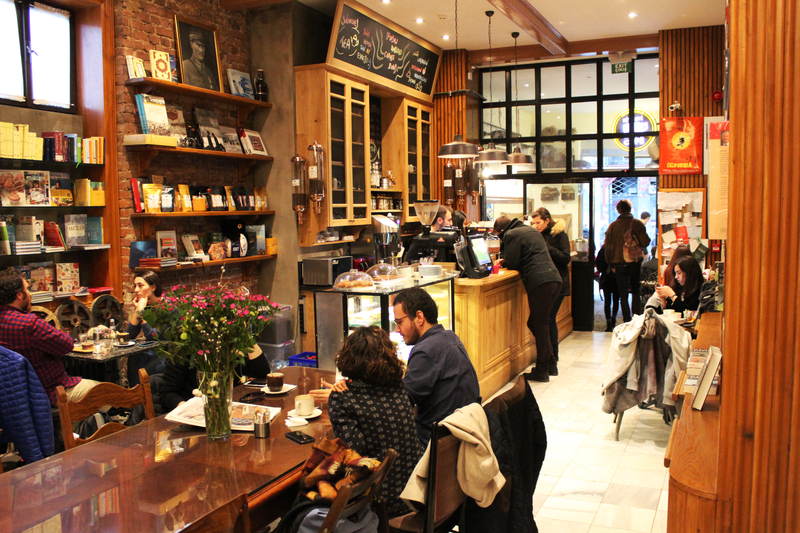 The clientele is international, not least of all because the cafe is a favourite meeting place for exchange students. The new spaciousness plays host to film evenings, readings and book signings. One night Fatih Akın’s film »Gegen die Wand« is shown, the next, Ahmet Ümit, one of the most successful mystery novel authors in Turkey, reads from his newest book. 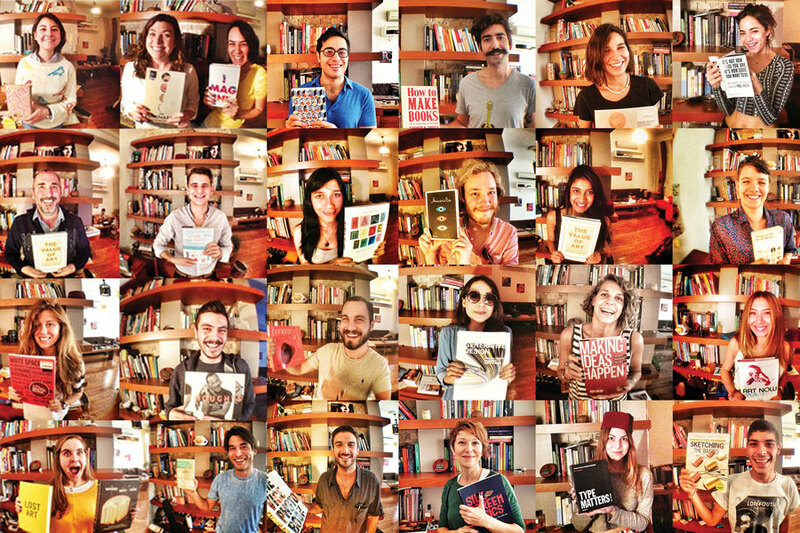 Authors and readers, filmmakers and audience members come together here, creating a new, living platform for Turkish-German exchange along the way. 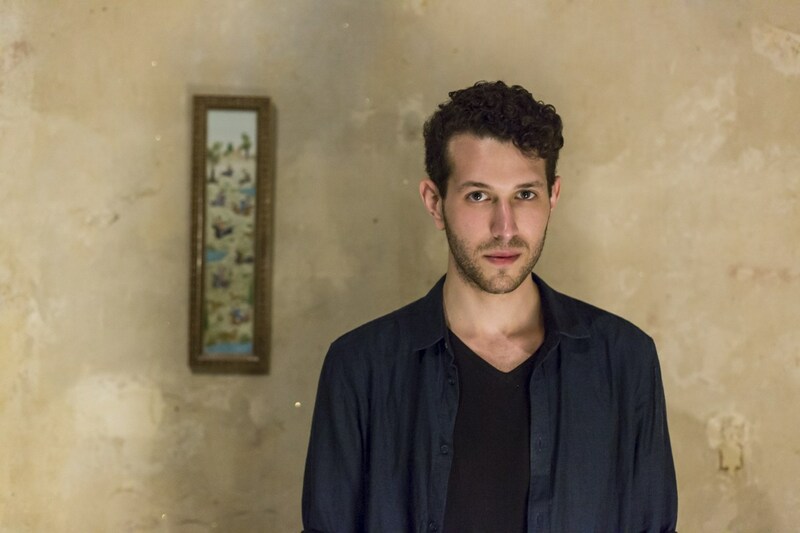 Kaan Bulak's New Song "Moving Leaves"